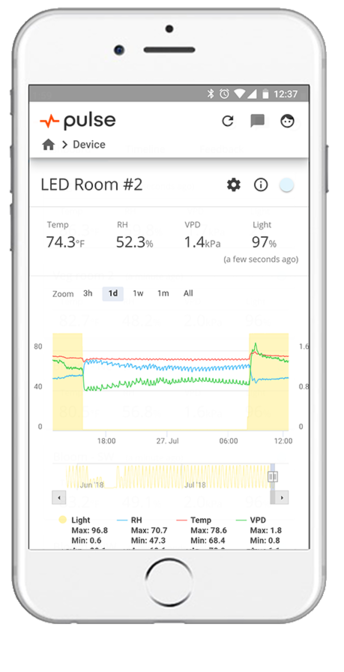 Improve your grow with remote monitoring of temperature, RH, light, and VPD, custom alerts, and integrated journaling. Looking to improve your grow? Learn how to dial in your grow room's environment from professional growers. Sign up for exclusive grow tips, giveaways, and discounts. Three steps to your connected grow. Our easy setup connects your Pulse device to your WiFi in less than a minute. Once connected, position the device in your grow area. Remotely monitor your garden’s conditions from anywhere. Set custom alerts that notify you instantly when something is not right. Data-driven insights increase yields and reduce waste. You will always know the impacts your actions have on your grow room's environment. Your plants need consistent temperature for maximum yields. Ideal RH promotes the absorption of nutrients and plant health. Maintain the correct VPD for optimal nutrient uptake. Ensure that your daylight hours match your stage of growth. 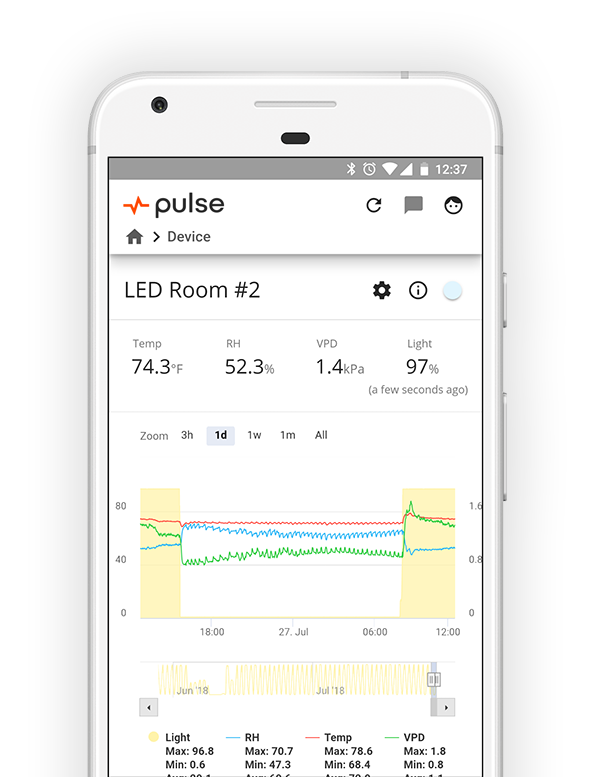 Introducing your smart grow room monitor. 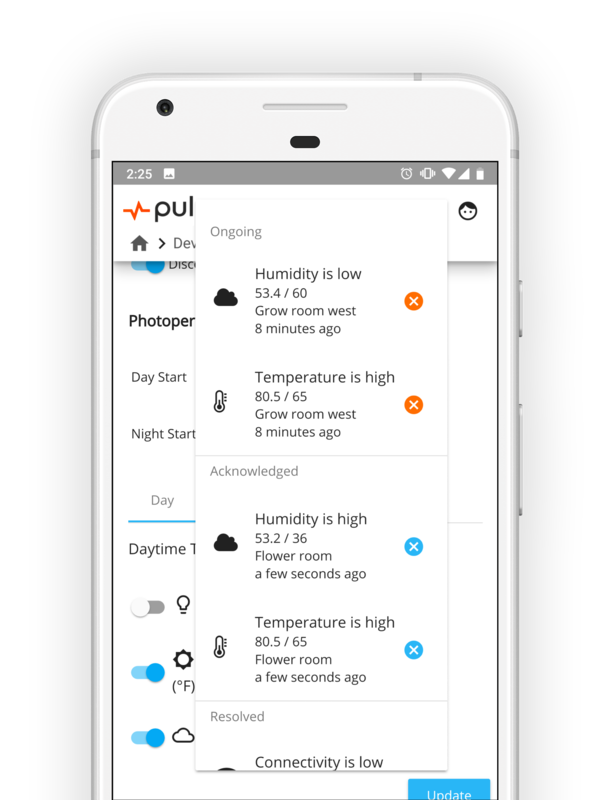 Check your grow room conditions anytime, anywhere. Our software is compatible with PC, Mac, iOS, Android. See real time and historical data from your operation. Your plants will thank you. Set up custom alerts specific to your environment. Get instantly alerted when something goes wrong.